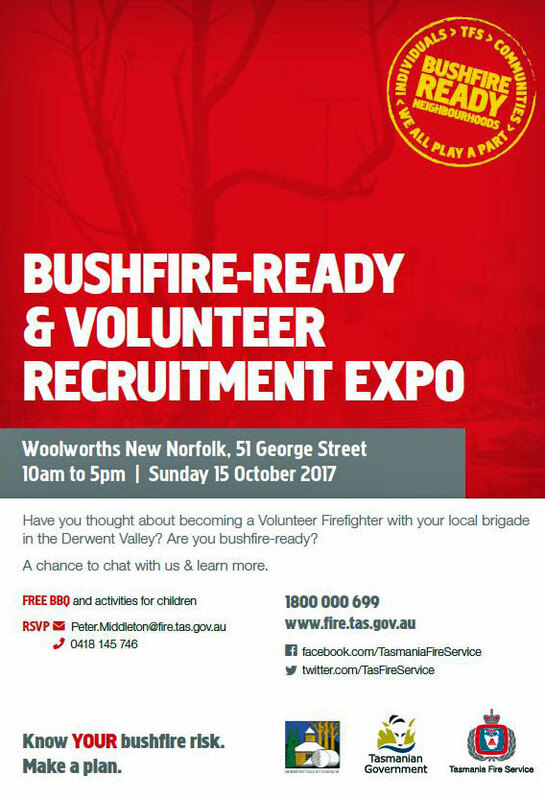 THREE local fire brigades will host a bushfire-ready and volunteer recruitment expo at New Norfolk this Sunday. Crews from the Lachlan, Magra and New Norfolk fire brigades will be on hand at Woolworths superrmarket, 51 George St, from 10am-5pm. 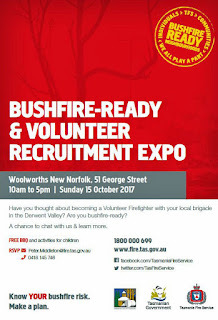 This will be a great opportunity to find out more about the local fire brigades and obtain information about preparing your home or property for the bushfire season. Anyone interested in joining the fire brigade as a volunteer will be welcome to make themselves known. There will also be children's activities and a free barbecue.